Returning to its roots, but not without some issues. Battlefield V releases today. It also released five days ago, and it released on November 9, depending on who’s asking, and what version of the game you bought. Regardless, I’ve spent much of the last two weeks in its recreation of World War II, battling over Rotterdam and cold Norwegian mountains and placid French countrysides—and desperately missing the M1 Garand, which is somehow not in this World War II game. I’m still not quite over that omission, but I’ve returned with my thoughts (a lot of them) on the game as a whole, both its singleplayer War Stories and the sweeping changes DICE made to multiplayer this year. It’s not all good, but it’s still Battlefield. Let’s talk first about War Stories, Battlefield V’s singleplayer campaign—or rather, campaigns plural. 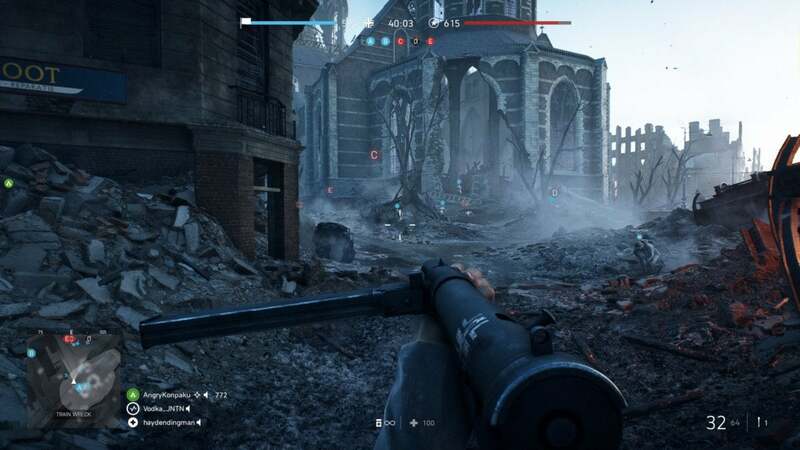 Like its predecessor Battlefield 1, Battlefield V breaks its story into multiple chunks, three vignettes that take different viewpoints on the war. They’re technically arranged chronologically, though you can play them in any order you’d like. First up is “Under No Flag,” which features Britain’s Special Boat Service, the nautical complement to the (arguably more famous) SAS or Special Air Service. Then there’s “Nordlys,” examining Norway’s Nazi occupation through the eyes of a teenage girl. Last—for now at least—is “Tirailleur,” which tells the story of France’s colonial African soldiers during Operation Dragoon. 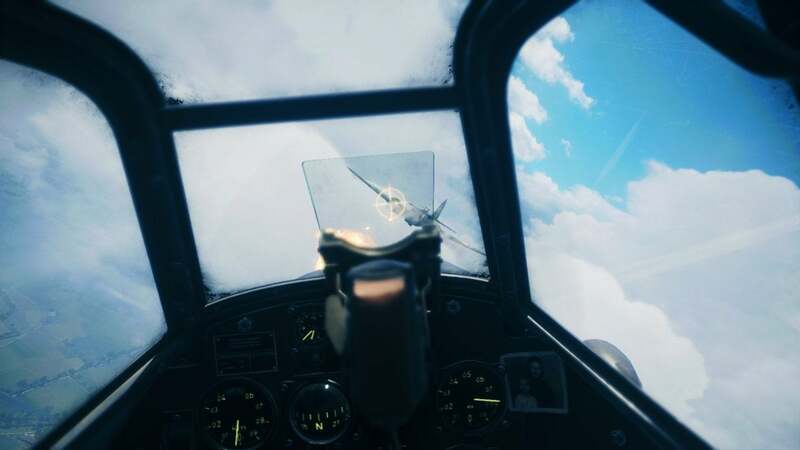 DICE has said it wanted to focus on lesser-known stories in Battlefield V, staying away from D-Day, Market Garden, the Bulge, and other well-trod battles. And on that point Battlefield V is an unmitigated success. I complained last year that Call of Duty: WWII felt like a Greatest Hits collection of past World War II games. Battlefield V steers clear of the genre’s ever-present Band of Brothers influences, and is better for it. But Battlefield 1 scored a Game of the Year prize from us in 2016, largely off the strength of War Stories. Battlefield V doesn’t reach the same heights, for a number of reasons. First and foremost, it’s tedious to play. Battlefield 1’s War Stories did an excellent job bouncing between the series’s strengths. First you play a tank driver, then you’re an ace pilot, then you’re fighting atop a flaming zeppelin, then crawling through muddy trenches. Each campaign had a unique feel to it, culminating in the story of T.E. Lawrence, better known as Lawrence of Arabia, where you were forced to use guerrilla stealth tactics. It was a major shakeup for action-centric Battlefield. Perhaps we praised those stealth missions a bit too much though, because Battlefield V is full of them. Under No Flag? You’re behind enemy lines, meaning lots of stealth missions. Nordlys? Three very long stealth missions. Even Tirailleurs, the most action-packed of the three campaigns, has segments where stealth is if not mandatory at least heavily encouraged. Battlefield isn’t a good stealth game. It works well enough as a change of pace, a dramatic pause after a level of heavy fighting, but Hitman this is not. Some more variation could’ve gone a long way here. The storytelling is the larger letdown though. Battlefield V’s characters may come from different backgrounds, may have different roles than we’re used to seeing from World War II media, and yet everything here feels vaguely familiar. Maybe it’s the tone, or the themes. Reluctant soldier. Lost innocence. Overcoming limitations. 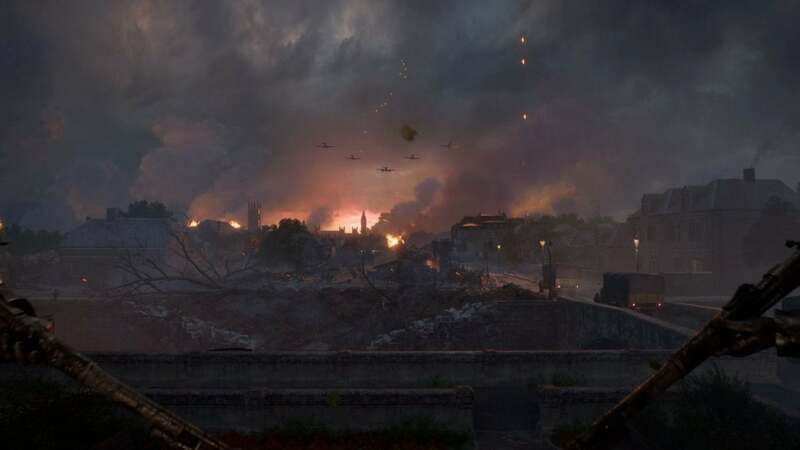 The same themes permeate all three of Battlefield V’s War Stories, and indeed much of our pop culture understanding of World War II. Battlefield V’s soldiers might look different from the Band of Brothers knockoffs in Call of Duty: WWII, and yet under the surface little differentiates them. These aren’t people anymore. They’re heroes, and that comes (in the video game world at least) with this reverent, do-no-wrong tone that strips them of identity. As if realizing this issue, DICE endeavors to give its leads a few humanizing moments. Under No Flag’s standout moment, for instance, comes late in the story. While beating back an overwhelming tide of Nazis, your character and his mentor start singing an old fight song to keep their spirits up. These moments are great, these glimpses at a personality. But they’re far too rare for the player to form any real connection to the characters, even compared to the work DICE did in Battlefield 1. The resulting campaigns aren’t bad, but they miss out on the very complexity DICE wanted to court by striking away from D-Day and other events that loom large in our World War II mindset. I admire the effort, trying not to rely on the old touchstones, but at the end Battlefield V has the same glossy view of war and heroism as any of its more generic peers. Perhaps it’s a limitation of the genre. They’re shooters, and you’re primarily Rambo-ing your way through entire enemy units. It’s hard under those constraints to explore themes of, say, cowardice—to tell Corporal Upham’s story in Saving Private Ryan. But Battlefield V feels unsurprising and uninspired even in comparison to its predecessor, which played with characters and tone in myriad ways. That’s what War Stories should be. Freed from the limitations of an eight-hour campaign, War Stories can explore conflicts in a more complex and interesting way than games have done in the past. DICE just didn’t achieve that here. The core of Battlefield V is still multiplayer, regardless. Normally I wouldn’t spend much time talking about it, but Battlefield V is the first in a while to make sweeping changes to the fundamentals, some good and some not so much. The usual superlatives apply, of course. 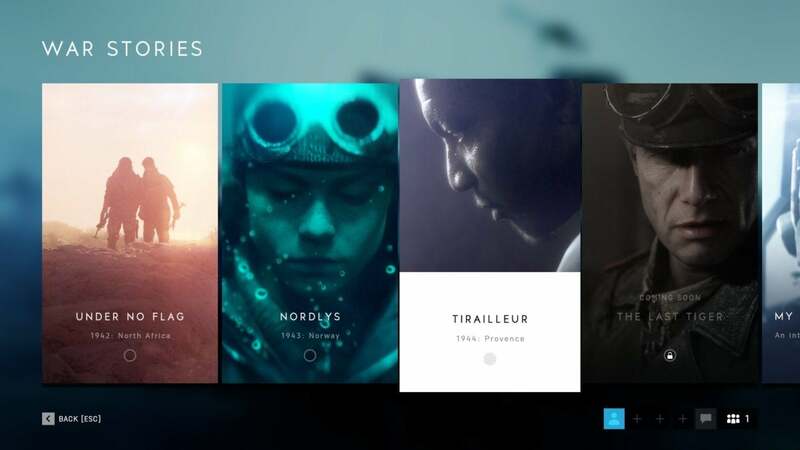 It looks phenomenal, especially the “Fjell 652” map which takes place among Norwegian mountain peaks. 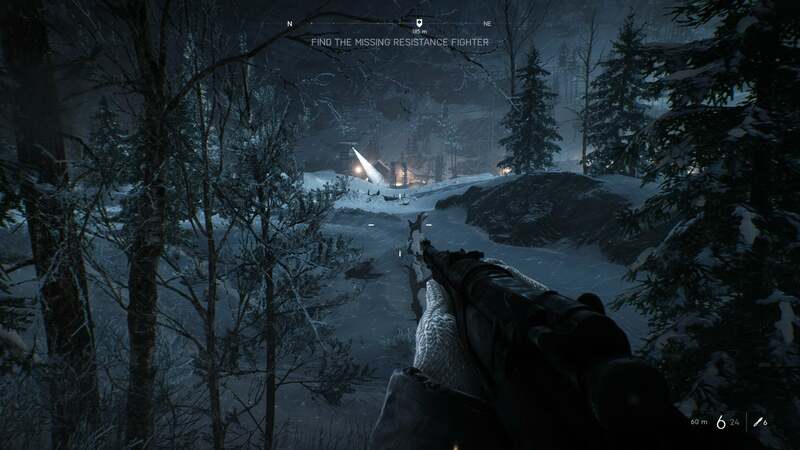 I’d say it’s one of the most stunning Battlefield maps ever made, every missed bullet or grenade blast casting plumes of snow into the air and obscuring your vision. Battlefront’s Hoth maps have paid dividends, I guess. It runs smooth as well. Load times are a bit lengthy, especially at the start of a match, but performance is about on par with Battlefield 1, meaning no major hiccups. The exception are the menus, which tend to hitch and tear when you need to do something as simple as swapping the grip on your weapon. Those transitions need tightening up. I’m also a fan of the new building system. No, Battlefield hasn’t turned into Fortnite—not yet, anyway. In set areas though, mostly around Conquest flags, you can hit “T” to pull out the construction tool and build preordained structures. A ring of sandbags can give an AA gunner additional protection from rogue snipers, for instance, or a hedgehog can prevent a tank from raiding your team’s bridge base. It’s easy enough to ignore the system entirely, but smart usage can give teams a slight advantage. It’s worth experimenting with. Now, the not-so-good. I’m not a fan of the new spotting system, or lack thereof. “Spotting,” if you don’t know, allowed players to tag enemies by tapping “Q” when aiming in their direction. Now only the Recon class can tag, using a special pair of binoculars. The upshot? More excuses for people to play snipers and contribute nothing at all to capturing objectives, and there’s almost no spotting anyway because snipers would rather keep sniping. Other classes can tag a general area, to signal for instance “Enemies coming from this direction,” but the system’s finicky. It also leaves non-Recon classes and squads with no real counter for a camping sniper, and as a result that epidemic’s even more annoying than it’s been in the past. The maps are hit-or-miss as well. That’s probably the most disappointing part so far. I’m starting to think 64 players isn’t enough to match DICE’s ambitions. 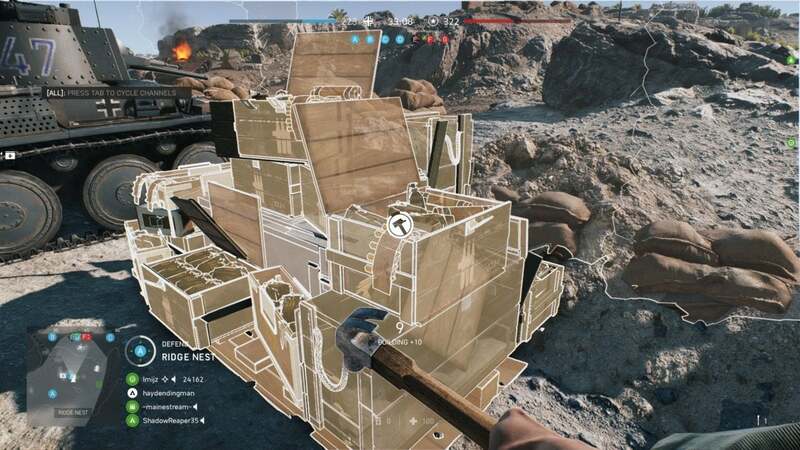 With each new entry, DICE seems focused on delivering “The largest Battlefield experience yet,” but at this point the more sprawling maps just feel empty. I had the same complaints about Battlefield 1, but could mitigate the problem by playing Rush—a more focused game type than the traditional Conquest experience. Battlefield V releases without Rush though, which is baffling, and there’s no good replacement from what I’ve played. A few maps have areas (like Devastation’s central cathedral) that reliably turn into combat hotspots, but most don’t and end up feeling lifeless as a result. Between the lack of Rush, the forthcoming battle royale mode next year, and the fourth singleplayer campaign arriving in December—it feels a bit like DICE and EA rushed to hit a date, and the game released unfinished. Will that matter if you’re reading this in 2020? Of course not. Games evolve a lot post-release, these days. But at launch it feels a bit thin. Lastly, there’s the cosmetic customization. The good news is Battlefield V doesn’t have loot boxes, and doesn’t repeat the same sins as Star Wars: Battlefront II. The bad news is the cosmetic layer feels hokey. It’s not quite as bad as Call of Duty’s infamous marijuana skins or whatever, but nor does it toe the same pseudo-realistic line I associate with Battlefield. Painting your weapons in U.N. Peacekeeper blue-and-white is particularly mawkish, but all of it feels vaguely off-tone. I don’t want to complain too much, because it’s better than loot boxes—and more important, it means all expansions will be free. Maybe that’s worth a few bad cosmetic decisions. Still, I can’t say I love this direction. It feels more like Battlefield’s less-serious Bad Company series than a mainline game. Anyway, it’s Battlefield, and a pretty decent one at that. It’s certainly not as interesting as its predecessor, but if you wanted Battlefield to return to its World War II roots then it’s done that at long last. There’s no Midway this time, no Omaha Beach, but in other key ways not much has changed in 16 years. We’ll check back in December once the fourth War Story, “The Last Tiger,” releases. I’m very curious about that one, seeing as it stars uh...a Nazi. That in mind, DICE has to abandon the reverent tone used as a crutch by the current crop. Successful or not, it’ll at least be more daring. 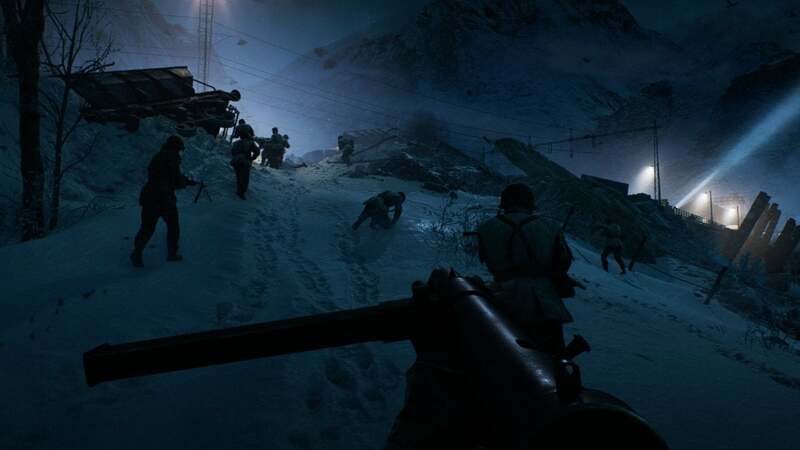 Battlefield V is a solid return to the series's roots, but both its campaign and its multiplayer offerings lack the magic of predecessor Battlefield 1.